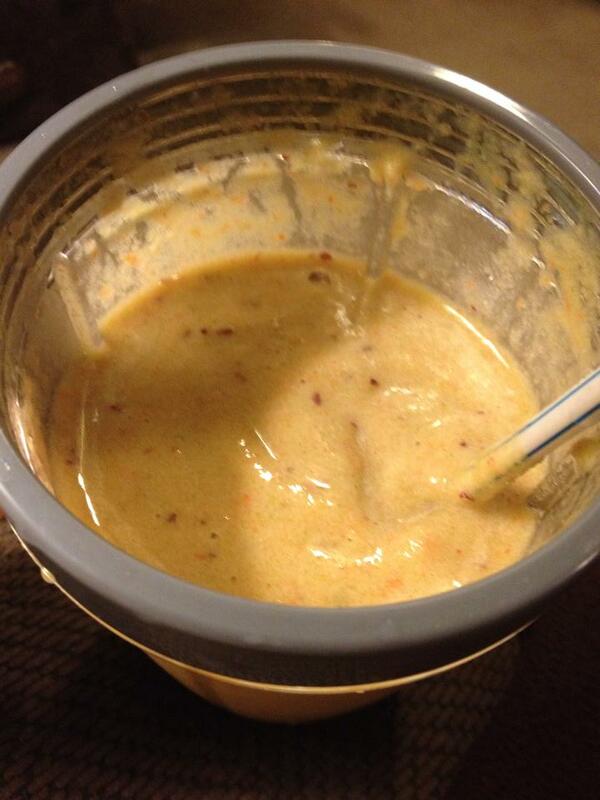 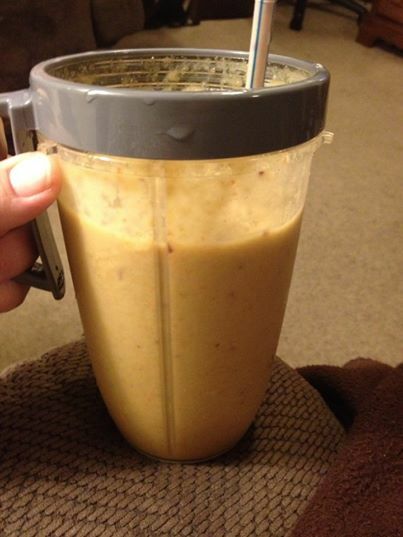 One small red Apple cored, six frozen baby carrots, A handful of strawberry frozen mixture (strawberries peaches, mango, pineapple great value bag you get it at Walmart) add 1 handful of baby spinach then fill to line with 100% Pineapple Juice .. Mix vita bullet till smooth Delicious!!!!!!! !